*Question: "What are the best sugar substitutes?" *Question: The age-old question: "Do vegans get enough protein?" In the wake of the giant oil spill in the Gulf of Mexico and the enormous flooding situation in Nashville, I’ve been presented with numerous chances for reflection on our environment and nature recently. It also seems like most of the movies I keep seeing have some undertone of leaving nature as is and not attempting to exploit the jewels of our world for a short-term gain. I loved Avatar and was in the group of people who would have jumped at the chance to move to such a glorious blue world. I thought the plants, animals and nature of the people were so fascinating and touching. I loved that James Cameron emphasized the need to preserve nature and prevent exploitation and development of land that is billions of years old. I also loved How to Train Your Dragon. In our house, for the few weeks after we watch a movie like that, we talk about which dragons we would love to have at our house, which of our dogs is behaving or looking like a dragon, and other miscellaneous dragon skills. It’s irrelevant that it’s a fictional creature. We just love animals here. Again in that movie, we were able to see how other beings could (and should, in my opinion) live in harmony with humans and without being exploited or hunted. Even in Up, we were able to watch as an explorer got greedy and spent the last years of his life trying to catch and destroy an elusive and beautiful bird. Never did he take the time to get to know the bird (and feed her chocolate! ), and never did he think of her as a suffering creature who had her own need to procreate and live with her offspring. I absolutely loved that when Mr. Frederickson and Russell were able to free the bird Kevin (actually a female), they simply let her walk away to her offspring. They didn’t try to harness her and take her home as a pet, and they didn’t try to sell their new knowledge to the public in their home country. My favorite line of How to Train Your Dragon was when Astrid was interrogating Hiccup (the main character) on why he “couldn’t” kill the dragon and Hiccup said, “I wouldn’t kill him because he looked as frightened as I was. I looked at him and saw myself.” I believe many vegans would say that is a fundamental reason why we will not eat animals; we simply cannot separate the animal from the food on the plate. We look at it and we see an animal and we think about its suffering. What I wonder is how some can feel compassion for a totally fictional animal and agree with Hiccup that he shouldn’t kill that animal, and yet be unable to see why many people have compassion for a pig or a cow or a chicken. Is it simply because Toothless is so cute and acts sometimes like a dog and other times like a cat? Is he just too smart to be killed brutally? Do those same people realize that pigs are actually considered to be smarter than dogs, and therefore probably smarter than Toothless the dragon? Do they think of how cows have distinct personalities and enjoy social groups? Or how chickens start teaching their baby chicks to chirp when they are sitting on their eggs? Or even fish, whom many of us fail to find compassion for, who suffer tremendously both in being caught and in suffocating to death. Do we connect that those very same fish are being coated in oil and the environment destroyed simply because we humans don’t want to take the extra time to build a transportation system that doesn’t depend on exploiting the earth for it to function? We can do better than that. After all, we're humans, right? I want to take the time to thank each of you for reading this newsletter. It shows you are doing your part in taking care of the world around us, even if you're just gathering information and considering cutting back on your meat/dairy/fish intake. Every little bit counts. Yup, you guessed it... breakfast. One of my best friends just found out she has hypoglycemia, and I’m going to share with you what I shared with her about finding foods that don’t spike your blood sugar levels. This is helpful for anyone and everyone as we all feel the effects of simple carbohydrates. A few days ago, I was reading the back of my cereal box (Nature's Path organic Flax Plus raisin bran) and it says, "If you eat simple carbohydrates, such as sugar and white flour, your blood sugar will spike because these foods are quickly converted to glucose. If you eat a lot of simple carbs, you can have very high blood sugar for several hours. Blood sugar levels can't remain high without damage, so insulin is released to move all the blood sugar into our muscles and blood stores. Experts now agree that a lot of insulin results in hunger pangs and an overworked pancreas which can promote adult onset diabetes..."
It's actually much easier than it seems to eat whole grains and avoid the white flours and sugars. I bet just adjusting breakfast a little bit will make you feel better. Vegan breakfast is an cinch. Here's what I recommended that she try for a solid breakfast that won't make her crash at 10am. "What sugar substitutes are good for coffee?" Question: What do you use instead of sugar for coffee recipes? If you are simply looking to follow a vegan diet, there are plenty of vegan sugar substitutes. You can find them at most grocery stores and definitely at Whole Foods and health food stores. Simply look for the vegan tag on the package, and those sugars will be made without bone char or other animal byproducts. *Brown rice syrup: It won't spike your blood sugar levels as much as regular sugar, so it's much healthier for your body. I think it tastes exactly like honey, and it has the same texture, so you can use it as an exact replacement for honey and as a replacement for sugar. *Maple syrup: The "real" maple syrup is made from maple sap and has no additives. Don't be confused by the cheap, HFCS version. It will cost more than the fake kind, but it's well worth it, and a little goes a long way. *Agave nectar/syrup: Made from the nectar inside a specific type of cactus, it also won't spike your blood sugar levels. I find agave syrup to be much sweeter than regular sugar, so you can use less than you normally would in recipes. *Barley malt: This sweetener is also helpful in recipes as it's made from grain and again, won't make you feel wonky from the sugar highs and lows of sugar spikes. It also has a taste similar to honey, so you have to taste to find your favorite. Those are a few of my favorite vegan sugar substitutes. Hope that helps! Have a different favorite sugar substitute? Share it here. "How do vegans get enough protein?" 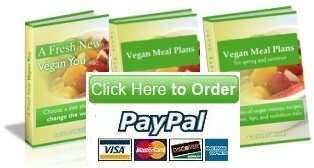 Question: I have only started researching 'going vegan'. I am a diabetic who is tired of meds that don't work and food that I know is making me feel bad. I want to have energy again... I want my life back! But, I've read stuff that scares me re: anemia/lack of protein/etc. I know these things can be overblown, but I want to gain as much information as I can before I dive in. 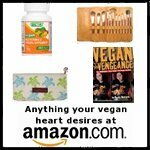 Besides your site, what other vegan-knowledgeable resources do you recommend? You are making a great move by considering a vegan diet to help yourself off the diabetes medications. There are numerous studies and examples of people who were able to lower their medication and sometimes even eliminate it completely. I highly recommend reading Dr. Neal Barnard's Program for Reversing Diabetes: The Scientifically Proven System for Reversing Diabetes without Drugs. 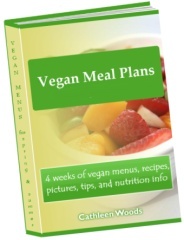 Dr. Barnard has several books that discuss the health benefits of a vegan diet, and this one is very applicable to your situation. In my ebook called A Fresh New Vegan You, I also have several success stories from people who went through that exact process as former diabetics. As far as worrying about protein and anemia, you're not alone. That's one of the biggest worries of people who are considering changing to a plant-based diet, and luckily, it's nothing to fear. As long as you eat a good mix of whole grains, vegetables, beans, and fruits, snacking on nuts, you will get more than enough protein. Most people actually eat too much protein, and the excess leaves our body in our urine. Check out my entire page on vegan protein here. Here is my page on high quality resources for more information on good sources besides our site. 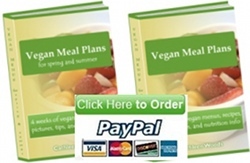 Add your comments about vegan protein here. This is a sneak peek recipe from my new meal plans for spring and summer. I used to love the restaurant "copy cat" recipe books that showed how to make iconic dishes we all love in restaurants. Now, I like to make up my own versions. I found this side dish on the Whole Foods salad bar and after looking at the ingredients, was easily able to replicate the dish. I hope you love copying their recipes as much as I do! Wash and roughly chop the kale into bite sized pieces. Whisk together the lemon juice, salt, and pepper, and drizzle in the olive oil while continuing to whisk. It’s important to whisk as you add the oil so the dressing will emulsify and you won’t end up with oil on the bottom and lemon juice on top. Taste the dressing and adjust the seasoning according to your tastes. Put the kale leaves, cranberries, and tomatoes in a bowl and toss with the vinaigrette. This becomes more and more amazing as it sits, so it’s a great salad to make early in the day and refrigerate for the evening.